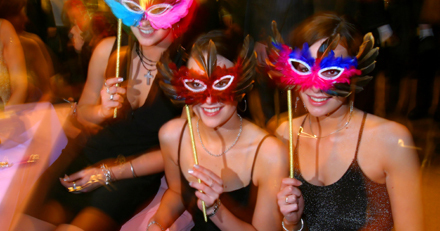 Fat Tuesday is being celebrated around the world today with festivities ranging from wearing colored masks and partying to indulging in a paczki, the Polish pastry treat that has become synonymous with Fat Tuesday. This Fat Tuesday favorite packs a punch in the waistline as each paczki has an estimated 300-450 calories a piece, allowing anyone who is thinking of giving up sweets for Lent one last indulgence before the Catholic holiday starts the next day. Paczkis have become so popular over the years that this pastry has inspired other bakery treats such a paczki pie and a healthier version a baked paczki pie. 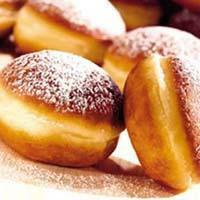 The baked version has a “healthier” 260 calories because it is not deep fried like the traditional paczki. Paczkis are not the only way people are celebrating the special day. All around the world people are celebrating Fat Tuesday with parades, parties and barbeques that involve their favorite foods. With Fat Tuesday being the last day before Lent, people like to take advantage of one last time to indulge before they give up some of life’s finest things for the next few weeks to observer the Catholic holiday.